INDUSTRY.co.id - Jakarta - SAP recently announced that the largest financial banking and financial services company in Russia, Sberbank, has used SAP SuccessFactors solution to manage its workforce of 230 thousand employees. This makes the project the largest cloud project in Russia. 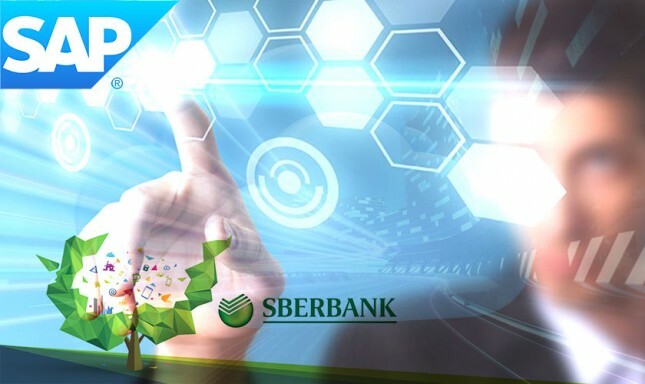 Sberbank plans to connect all of its subsidiaries and increase the total number of employees in the cloud to 270 thousand. The cloud-based cloud-based software brings together all of Sberbank's employees in a digital spot, and creates a single internal workforce. Wherever and through any device, employees can develop themselves using assessment tools, career planning, and online training. Managers can work with candidates for open positions, track employee performance, know the competencies and abilities of employees, make decisions related to employee development, and bring together teams to solve problems, wherever those employees are. "Sberbank's main goal is to boost our competitiveness to a higher level, which will enable us to compete with global technology companies while maintaining the status of the best bank for both individuals and businesses," said Yulia Chupina, Deputy Chairman of the Executive Board, Sperbank . "We plan to achieve this goal by expanding our business and improving profitability and efficiency while encouraging flexibility, speed and centralization to clients by introducing new technologies and cultivating employees." The goal of the project is to ensure the quality of the new personnel management process at Sberbank in line with the 2020 transformation strategy. The project's main objectives include improving employee recruitment and training, achieving transparent career planning and development, creating new competency models and developing corporate culture. Sberbank's management can now use data from SAP SuccessFactor to make strategic decisions about the planning competencies required in the bank, development of current and potential personnel and growth areas. This software significantly reduces the time spent on recruitment and on boarding in all bank divisions. In the future, it is not impossible to use information gathered by software to create new digital solutions to work with personnel, including prediction tools. The partnership between SAP Consulting and Sberbank successfully completed its transition within a year, making it the fastest cloud-based SDM software launch of all of SAP's major customers.